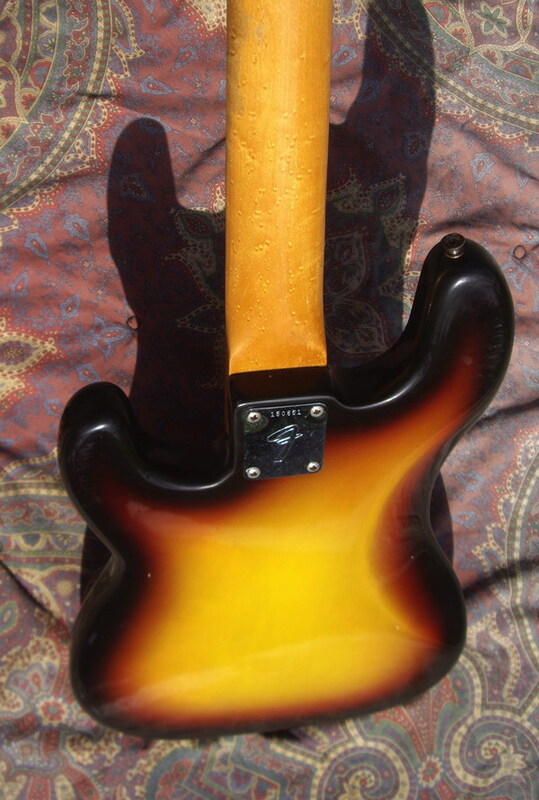 Sunburst, nice bird eyes neck, original rare European case, up grade with a large dot border neck in the 60's, weight 3,80 Kg. 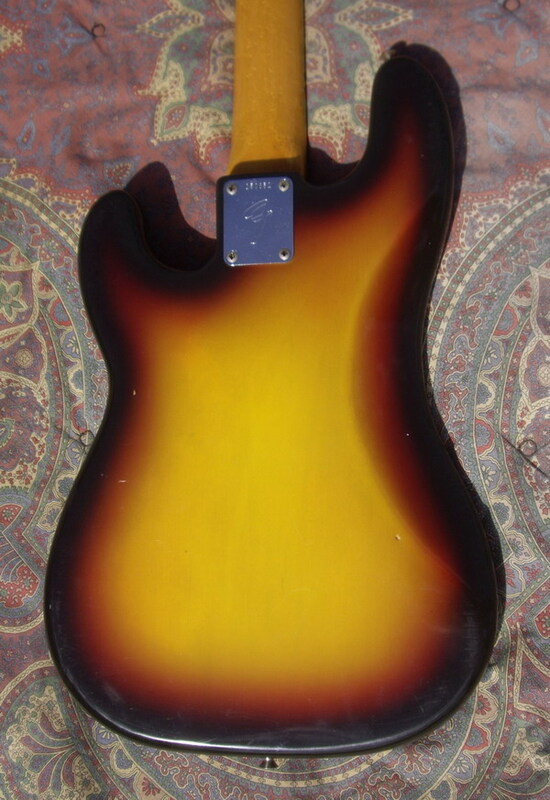 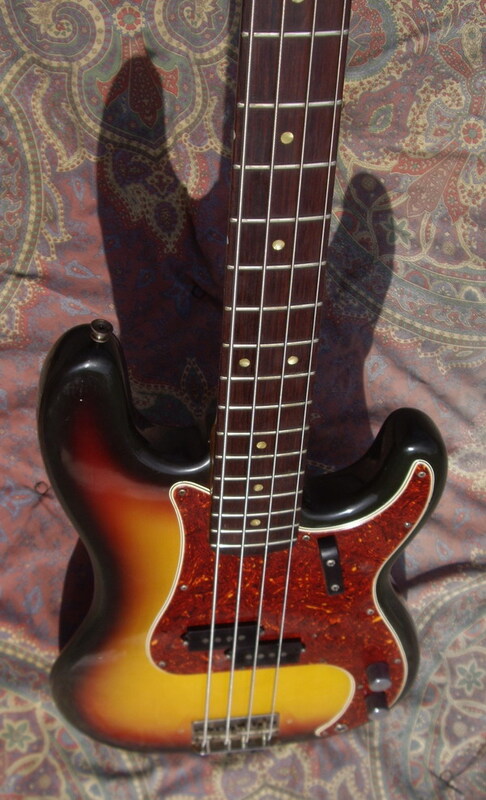 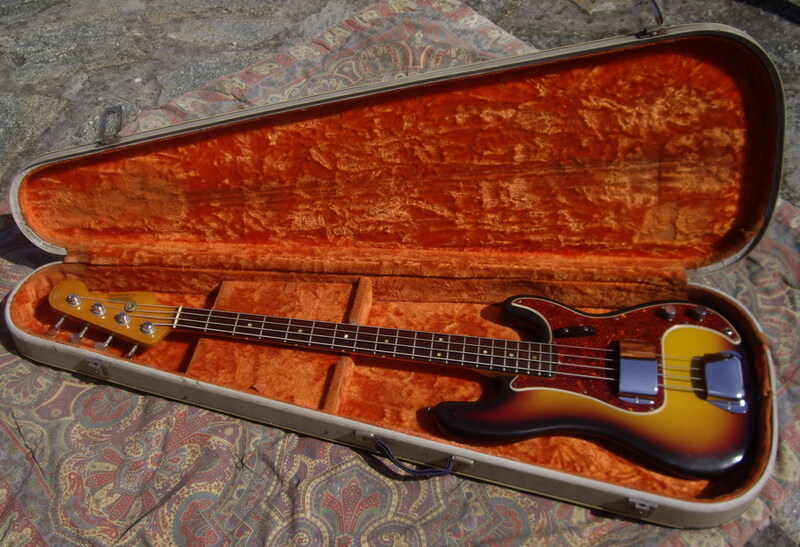 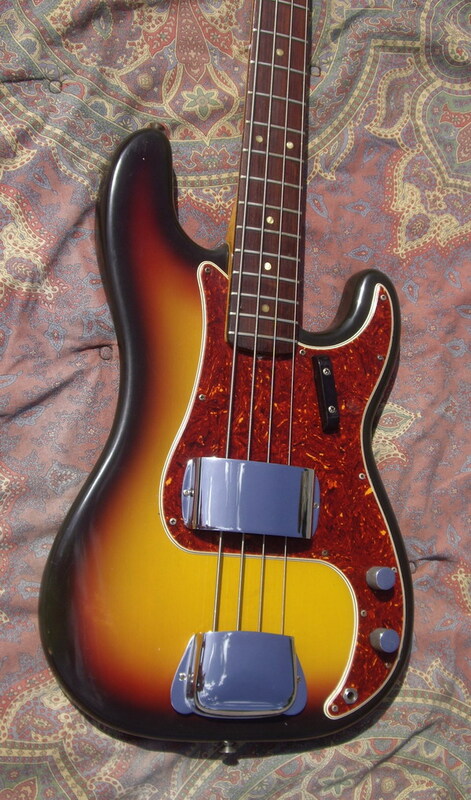 This gorgeous specimen of a Precision Bass is an all original example in its very rich 3-tone Sunburst finish, early CBS production having all ’65 features w/its fat dot inlaid rosewood neck dated May 1966, Perfect neck and frets, its tortoise’gard is quite rich & very clean too, overall she’s exceptionally clean in all respects & she plays & sounds unreal ! 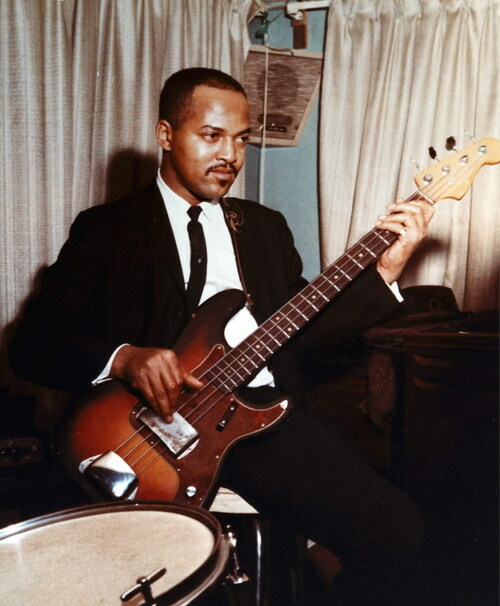 James Jamerson in the early 1960s playing his “Funk Machine” Precision Bass. 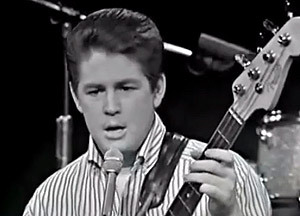 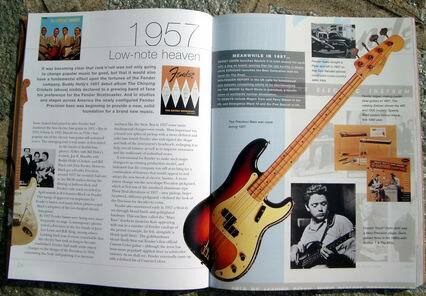 Largely unheralded during his time, he is nonetheless regarded as one of the world’s greatest and most influential bassists. 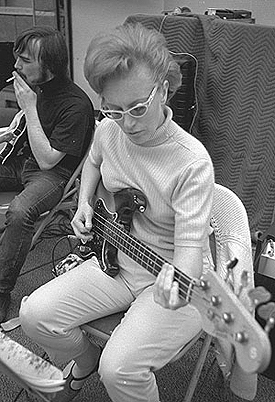 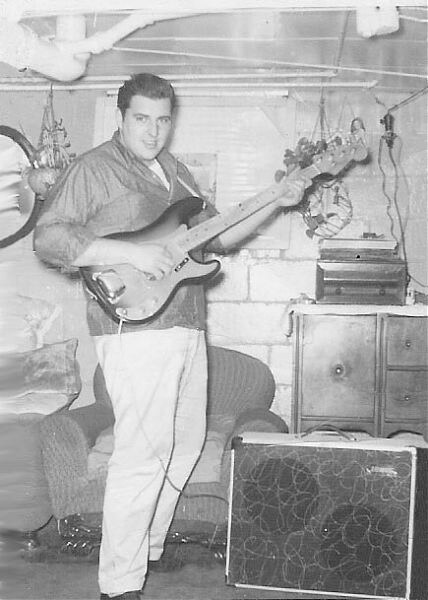 Carol Kaye, mid-session in the mid-’60s. 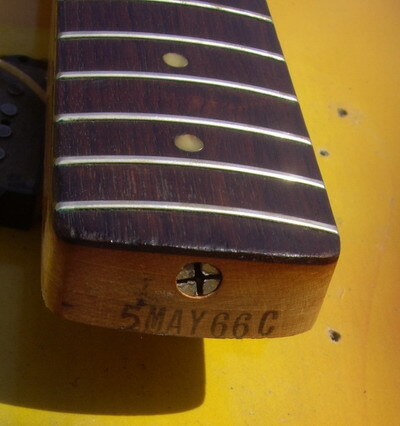 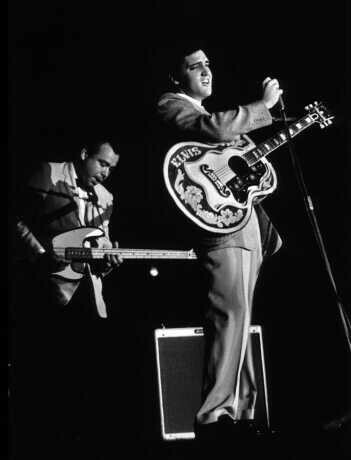 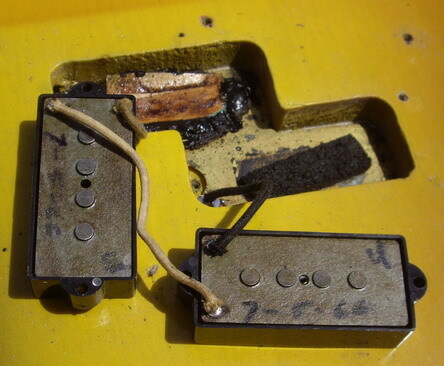 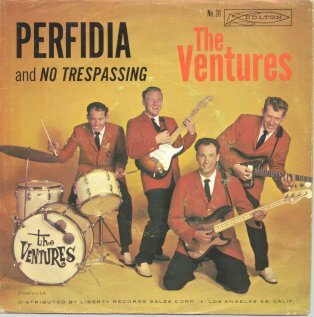 Guitarists would revere Leo Fender the world over if he’d only designed the Stratocaster and Telecaster. 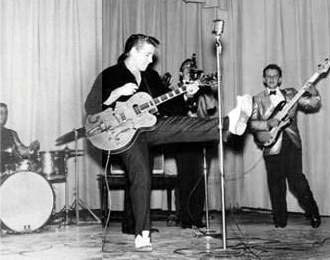 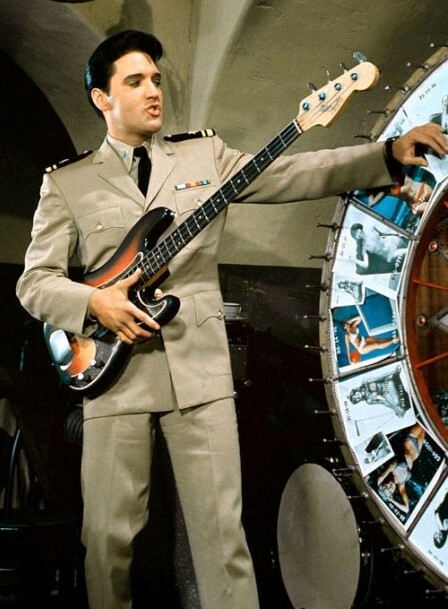 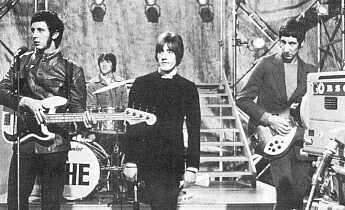 But you could make the case that popular music fans over the last 60 years are as much indebted to Leo for the Precision Bass. 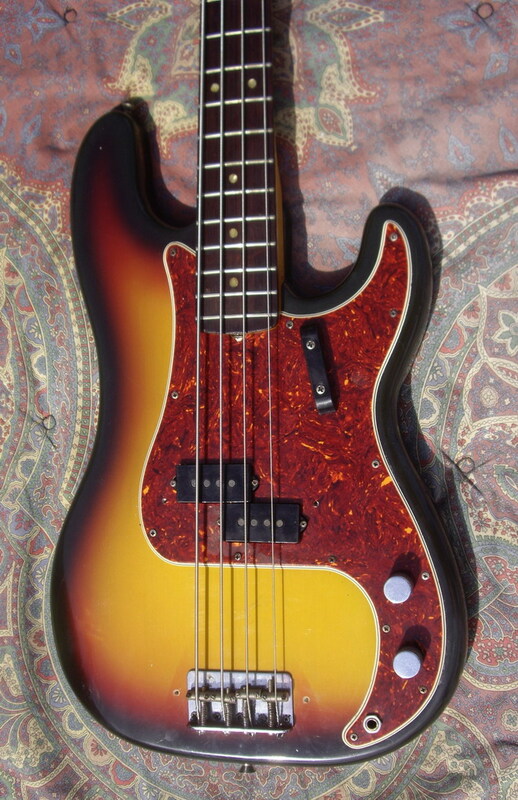 The P Bass is the seminal electric solidbody bass, even if companies like Rickenbacker has flirted with the idea before Fender. 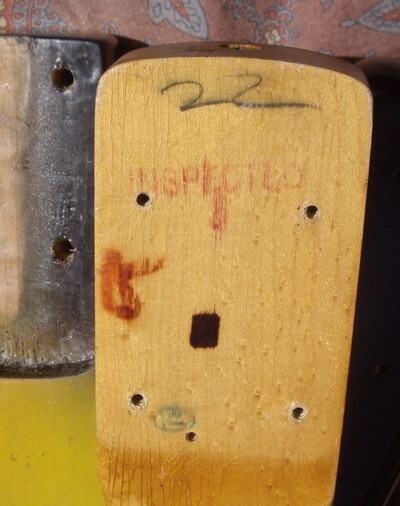 Leo built the first prototype in 1950 and full production started a year later. 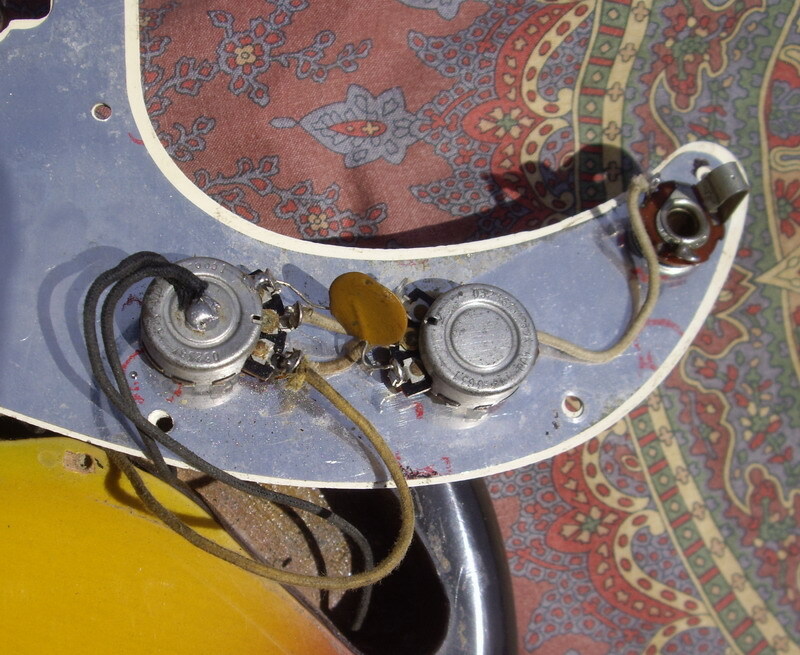 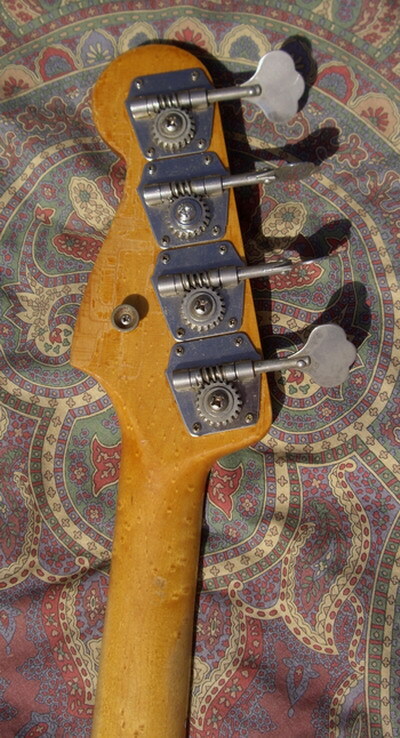 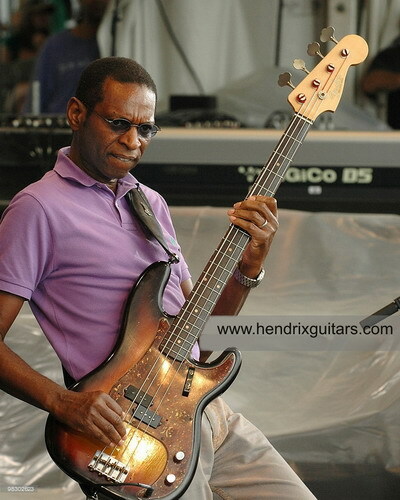 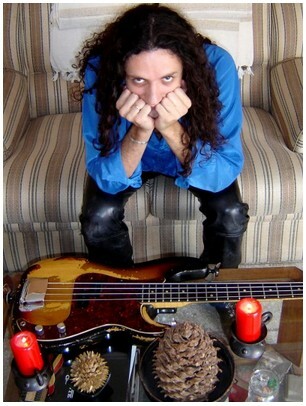 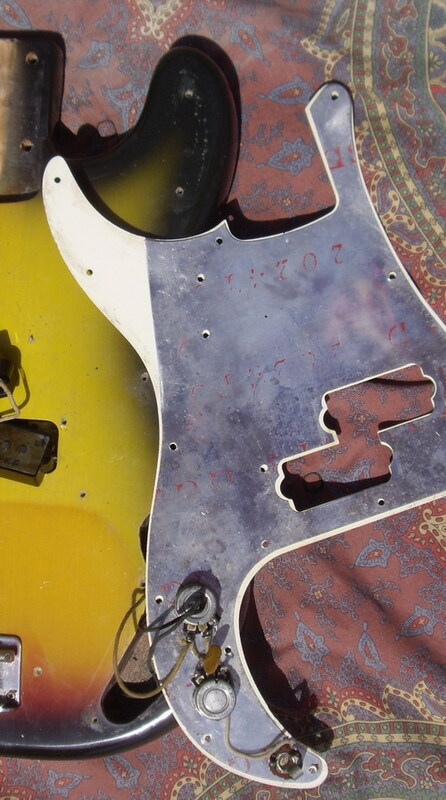 The genius in Leo’s design is evident not only in the P Bass longevity, but in the wide spectrum of players that have carved new musical paths with the P Bass as a foundation—Motown Records’ James Jamerson, Carol Kaye, Black Sabbath’s Geezer Butler, U2’s Adam Clayton, The Who’s John Entwistle, Queen’s John Deacon, Steely Dan’s Walter Becker, Flea, The Cure’s Simon Gallup, Dee Dee Ramone, and Roger Waters, to name just a few.